When employees contribute a percentage of their wages to their employer’s sponsored retirement plan, they often assume the money is transferred into their account on payday. Employers have a fiduciary responsibility to ensure that participants contributions are remitted to the plan timely. Unfortunately, this is not always the case. Some common reasons as to why deposit delays occur include staff shortages, changes in payroll providers, or an unexpected vacation or changes in company processes or procedures. Regardless of the reason, late deposits do not meet regulatory guidelines. 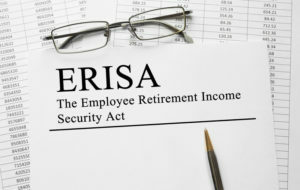 The Employee Retirement Income Security Act of 1974 (ERISA) establishes minimum standards for employer sponsored retirement plans in the United States. The Department of Labor (DOL) works with the Internal Revenue Service to enforce these rules so that participants’ funds are protected from fraud, misuse, or negligence. Recently the DOL has been more closely scrutinizing Form 5500s and taking a more aggressive approach to plans that report untimely deposits of participant contributions. ERISA guidelines require plan sponsors to treat participant contributions as plan assets “as of the earliest date on which such contributions or repayments can reasonably be segregated from the employer’s general assets.” DOL regulations define this as no later than the 15th business day of the month following the month in which the contribution was withheld. This 15-day guideline should not be thought of as a safe harbor, but actually the maximum deadline. In fact, previous DOL investigations have reported that a reasonable amount of time to remit participant contributions to the plan is three business days after they were deducted from the participants’ wages. In other words, they should be remitted at the earliest date possible. Late remittances with a well-documented and reasonable explanation may get a free pass. Small plans are given a safe harbor of seven business days following the withholding. The ERISA defines small retirement plans as a plan with fewer than 100 participants. Employer contributions, such as a 401(k) match, have a bit more leeway. A promise to match funds does not constitute a plan asset. Therefore, employer contributions would not fall under the ERISA’s guidelines until they are contributed. Failure by a plan sponsor to timely remit employee contributions to the plan is considered a prohibited transaction by the DOL. If applicable, Form 5330 should be filed to pay excise tax on any late remittances of employee contributions. This tax is at least equal to 15% of the lost earnings associated with the late deposits. To calculate your potential excise tax, see the DOL’s online calculator here. All late deposits of employee contributions must also be reported on Form 5500. The ERISA guidelines are not black and white, so if you are unsure if your remittances are timely, let us know. We can review the plan sponsor’s procedures for remitting amounts withheld from participants and provide recommendations to assist you in determining a timeline upon which deferred amounts can be reasonably segregated from the company’s general assets that is within the DOL guidelines. Procedures should reflect that remittances are made timely and consistently in accordance with such timeline, and it will minimize the risk of an audit. If you discover that your remittances have been delayed, transfer those contributions to the plan as quickly as possible. It may also be necessary to contact an ERISA attorney and the CPA firm that performs your annual audit. Together, they can help you navigate through the correction programs that are available to you. The DOL’s Voluntary Fiduciary Correction Program (VFCP) will allow you to come back into compliance with the ERISA guidelines and waive penalties under certain circumstances as long as you make your participants whole again. This will require you to calculate “lost earnings,” which represent plan participants’ lost opportunities to earn investment income while their contributions sat in limbo. These lost earnings may not amount to much, and doing so will help you correct the issue and reduce the risk of a plan audit. Delinquent deposits are not required to be corrected through VFCP and plan sponsors may choose to self-correct. Our LaPorte CPAs have a deep understanding of ERISA guidelines and have years of experience in employee benefit plan audits. Contact us if you have concerns or questions about your retirement plan.